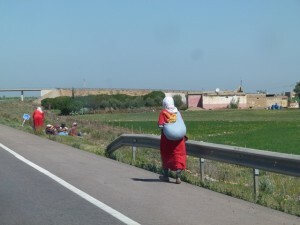 Morocco Travel: In terms of the weather, when is the best time of year to go to Morocco – this is a question we are frequently asked. 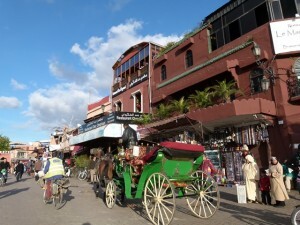 The short answer is any time of year because although Morocco experiences all four seasons even during hottest July summer days and the coldest January winter days the temperatures are not those extremes that cause you to rethink your Morocco travel plans altogether – it is simply a question of your personal preference. Morocco’s seasonal differences combined with its magnificent geographically diverse landscape, from glittering coastlines and rich agricultural belts, through soaring mountains to spectacular desert scapes, means there is no one best time of year – it’s always a good time to experience your Morocco travel adventure. Winter is cold, but we are talking Australian cold meaning at its coldest it’s around the 15°C – 20°C average temperature range but very cold in the high mountains – there will be snow in the High Atlas Mountains). So nothing that can’t easily be dealt with warm clothing. 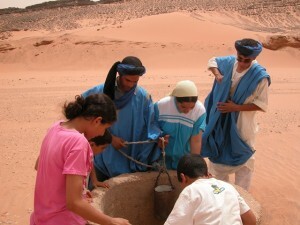 Local Berber people around Erg Chebbi drawing water from a well during summer – the days are hot but it is still a fascinating time to travel to Erg Chebbi and Merzouga. Summer is very warm to hot depending where you are. Temperatures peak in July: the sparkling Atlantic coastline is in the pleasant 22°C – 28°C range, a few degrees warmer along the Mediterranean coast, higher still inland, around mid to high 30s°C (Fez, Marrakesh, Meknes) and definitely hot in the desert (40°C – 45°C in July). If you prefer to avoid the desert heat there is plenty to see nd do along Morocco’s sparkling coastline: ancient Roman settlements, UNESCO world heritage sites, national parks and beaches; and inland there are always, swimming pools, air conditioning and shade. 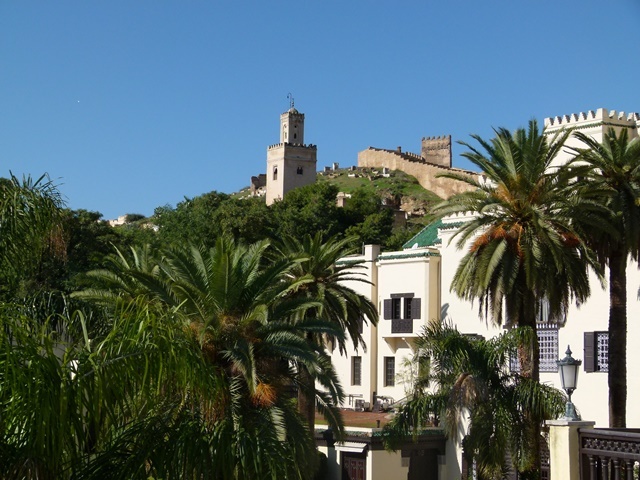 Autumn / Fall: stable steadily falling, but still warm, moderate temperatures, the hallmark of autumn make this a very comfortable and extremely popular time of year to visit Morocco. By late September temperatures are generally back into the 20s°C range and moving to equalise throughout much of the country to the low 20s°C by mid-November with cooler weather creeping into the mountain areas. It’s not too hot, it’s not too cold, it’s just right for everyone. 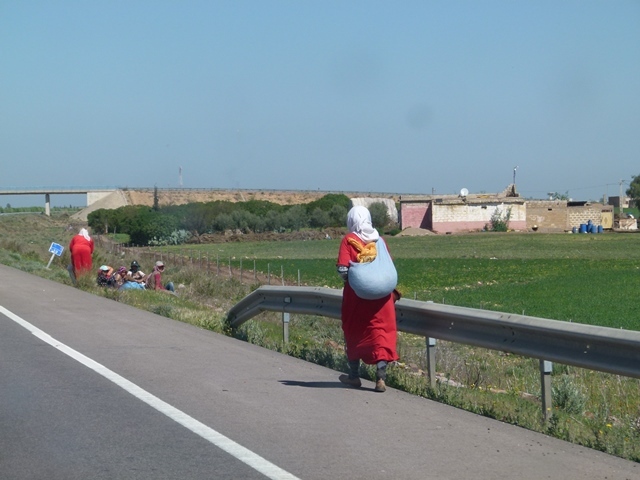 As we said every time of year is the perfect time to visit Morocco – let us show you our beautiful Morocco on one of our Berber Treasures Morocco Tours of Morocco. Choose one of our small group tours of Morocco or let us design your perfect bespoke private Morocco travel adventure with a personalised custom itinerary.